I was recently introduced to Cannery Row at a book club. As the only non-white person there, and coincidentally of Chinese descent, I was very curious about my fellow readers’ thoughts on the two Chinese characters in the book – Lee Chong, who is a grocery store keeper, and ‘the old Chinaman.’ Comments centred on Doc, Mack, Dora and even Darling the dog, but no one mentioned the Chinese characters until I did. I tentatively broached the subject, commenting on Steinbeck’s seemingly fair treatment of all the characters in the book; however, there was something about the Chinese characters that bothered me that I could not put a finger on. Despite the friendly smiles, there were no answers. We like to think that this is the post-colonial era and globalisation has made us more culturally aware and tolerant of each other, but when our differences create tension it is still easier to look away than examine them. I was tempted to argue that because Steinbeck wrote Cannery Row in 1945, before Martin Luther King began fighting for racial equality in America, it was natural for his portrayals of Chinese immigrants to be slightly off-kilter. But I realised that my question was not what, but rather why these two characters caused unease, especially in an environment where Steinbeck had intended for all the characters with their fair share of quirks and foibles to be outcasts. Describing Lee Chong as not just a grocer but more than a ‘Chinese grocer’ suggests that there are grocers and then there are Chinese grocers. He is stereotypically associated to Lao Tze as a Chinese person, but his greed for money mars any grace that an association with Lao Tze would bestow. He is not completely unkind, as his treatment of his family goes, but he is not so altruistic when it comes to his customers. The problematic portrayal of Lee Chong only becomes clear when it is related to the other characters in the book. Despite his financial success and silent generosity, he is hardly a figure of admiration like Doc. But it is when you compare him to Mack and the boys, who are really parasites and quite despicable, that this imbalance becomes quite clear. Mack and the boys are layabouts who swindle and coerce others into giving them what they need. An example is Mack’s acquisition of the Palace Flophouse. When Abbeville commits suicide, he leaves his property to Lee Chong because of the huge debt his family has incurred over the years (7). Lee Chong, who has never pressured Abbeville, was to an extent horrified by such a repayment, hence we are told an Abbeville child never lacked a stick of spearmint thereafter (9). On hearing about this transaction, Mack immediately goes about retrieving what everyone regards as an undeserved gift. He threatens Lee Chong into giving up the barn as free accommodation for the boys and symbolically lays claim to it by naming it (11). Throughout the story, Mack talks about doing things for others but in reality it always ends up benefitting him the most. Despite his evident selfishness, Steinbeck portrays him with a certain fondness and even admiration, unlike Lee Chong who is cast as an outsider despite his obvious contributions to the community. Unfortunately, Lee Chong is not an idealist but a pragmatist. He is the embodiment of the capitalist system that Steinbeck vilified. If the capitalist economy represents the big evil then Lee Chong is the devil’s advocate, and Mack and the boys are the angels guarding heaven’s gate. Although Mack and the boys are called ‘no-goods, come-to-bad-ends, blots-on-the-town, thieves, rascals, bums’ by capitalist advocates like Lee Chong who are ‘tigers with ulcers’ and ‘strictured bulls,’ Steinbeck prefers to call them ‘the Beauties, the Virtues, the Graces’ (15). His argument suggests that their petty thefts are a consequence of living hand to mouth and must be forgiven, whereas Lee Chong’s greed for money is without morals or ideals. Since a socialist ideal comprises the core philosophy of the book, it is understandable that anything that contradicts it necessarily comes across as negative. If anything, the Chinaman is a true embodiment of the simple life: he minds his own business and is no burden to society. But, he does not receive approval or admiration like Mack and the boys.Instead he is cast as another outsider who is to be feared. Nobody has ever approached him except for a ‘beautiful’ boy called Andy, and what he sees in the Chinaman’s eyes is a loneliness and desolation so vast and fearful that his ten year old spirit is haunted forever. The old Chinaman, like Lee Chong, will never be a part of the local community no matter what they do. While Lee Chong’s crime may be that of an immigrant selling his soul for coins, it is altogether questionable if the old Chinaman has a soul. Maybe he is the ghost of primordial man, slithering in and out of the ocean like the sea creatures that Doc experiments on. In any case, for these two characters what becomes clear is that the curse of capitalism applies to the immigrant whether they play the game too well or do not want to play it at all. If they are too successful, they are simultaneously exploited and ostracised for being too shrewd; if they refuse to even take part, they are misunderstood and made redundant. The best way to go about it, as Mack and the boys show, is to play the game and try to break some rules. Ultimately, Steinbeck did not like the way Lee Chong or the Chinaman played the capitalist game and we are made to feel it. Nevertheless, this is a very readable book. 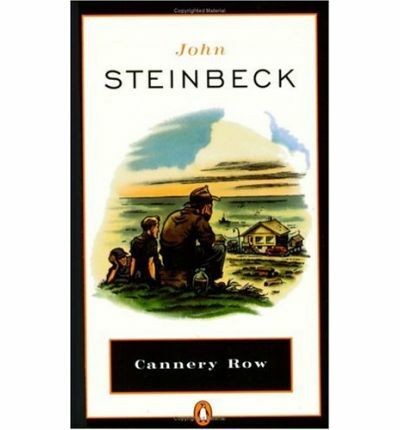 The simplicity of the tale itself, the lack of a cohesive plot and even the overt discrimination have surprisingly little impact on Steinbeck’s impeccable style and story-telling skills. You just might have to read it to believe it. John Steinbeck. Cannery Row. New York: Penguin, 1992. Print. Paoi Wilmer was a lecturer at National Taiwan University from 2003-2010. She currently resides in England and regularly publishes academic papers, reviews and creative stories. Her works have appeared in Partial Answers, EurAmerica, Wenshan Review, Asiatic and other international journals and magazines. She is currently Deputy Editor of National Taiwan University Press’s East-West Cultural Encounters series and she continues to serve on the advisory board of the journal, Encounters (http://encounters.zu.ac.ae/).